Guest Blog: Headshot Photographer Peter Hurley – It’s All About The Jaw Line! How important is it to accentuate your subject’s jawline in a portrait? For me it’s major, and more often than not the first direction that comes out of my mouth toward anyone in front of my camera. I believe it’s our job to pull the best out of our clients, so we need to be feeding them constant direction in order to do that. As photographers, we all use direct direction in order to get a client into a position that makes them physically look better. So since this one area means so much to me, I thought I’d share some tips on it in this little video. In it you’ll see how adamant I am about having my clients bring their jawline towards my camera day in and day out. This simple technique instantly improves the images I’m taking of my clients, and I hope you gain a few insights here that you find helpful and can implement on your next shoot. Enjoy! You can see more work from Peter at PeterHurley.com, follow him on Twitter, and like him on Facebook. And if you want more tips on shooting headshots, check out his 4-hour The Art Behind The Headshot DVD! Awesome video, wish I had watched it before I did the 142 SC Highway Patrolmen on Monday! “Have your Chiropractors number on hand” – I think that about covers it. Great tips. Oh my, look who it is… PETER HURLEY! That was an awesome video! I had never heard that technique before, and it makes a huge difference! Thanks for the info, I’ll be sure to keep that in mind when I shoot portraits. One question: does the direction of the lighting matter relative to this technique, or is it pretty much always head forward? Great video thanks for sharing !! Excellent video, can’t wait to try it out. Awesome! Please please please do a Kelby Training video! Peter Hurley….that was fantastic!! Wow, had no idea the jaw line made such an incredible difference…to tell you the truth, I thought portrait photographers were just taking care of that stuff in post…with Photoshop…amazing. Thanks for such a great video! Brilliant! Makes all the difference in the world. I got so excited to try this that I was “posing” as Peter suggested while walking around the local WalMart. I overheard two elderly women, one saying to the other, “Look at that poor young man all hunched over”. “Yes”, said her friend, “but look at how nice his jawline is”! Hey, if it works, it works! Great tutorial that. Makes a lot of difference in the pictures. The single best photography blog post I’ve seen all year. Brilliant. Top guest post in a long long time. BAM! Have always heard to have client stick their chin out, but never had anyone explain why. This was great and will impact my headshots going forward. thanks for sharing. tell why. This, is an example of why. need to be watching for. An excellent post. I’m as much of a gear-head as any other photog, but it’s refreshing to see someone talking about the non-technical aspects of photography. I really enjoyed this post, and as soon as I have saved up enough to buy the new Nikon D800, I’ll then be buying Peter’s DVD. Brilliant! It’s the simple things that have the most impact. This is something subjects will get right away. Can you get him in a Kelby Training video? If you think this 15 minutes was helpful, consider getting the ‘Art Behind the Headshot’ DVD. It’s 4 hours of this stuff. Changes forever the way you approach portrait taking. I’ve watched it 4 times, and I’m still picking up things. The timing of your post was perfect for me. I have found that I am taking more people pictures. This dovetails nicely with Scott’s “Light It, Shoot It, Retouch It” books and classes, and will add an additional dimension to my shoots. I have to admits, I was a little skeptical at the very start, but by the end I was completely on board and loving this. Excellent video, Peter. Thanks for that great tip. LOVED IT !!!! There is so much training info out there online but very little on posing. Thanks, look forward to seeing more of your stuff. Fun and informative. Love the terminology! Must make a mental note of all that “action” (lol) dangling below people’s chins! Hands down the most useful posing tutorial I have ever seen. Thank you for sharing this tiny (yet huge) piece of wisdom! This was great!!! I learned so much from the post, I can’t wait to shoot my next head shot session. Loved it! looking forward to seeing more of your blog posts! greats tips. Best 15 minutes I’ve spent in a while! Peter is a natural teacher. I like the no nonsense style, gets right to the point while being funny and fun at the same time! Brilliant! SHHHBANG! I love this guy, mad me laugh a lot, also because I wondered how many other people were pulling their heads towards the computer while watching it … just me? Really informative, I learned a lot! Talk about timing. I just purchased the DVD last week & have been watching it every free moment I have. Worth the investment. Very explanatory video Peter, I’ll be putting it into practice tomorrow, for my next job. Love the head shots on your website! Great having Peter on your blog. I loved the video. I’m thinking about getting his DVD in a few months when the finances are better. If he did a series of classes on Kelby Training it would be amazing. Wow, that was awesome! You are an excellent teacher. You’ve got a new fan :-). These tips are great – do you ever have folks, though, who were already uncomfortable being photographed, and become more so with all of the direction? I’m sometimes so focused at putting them at ease that I’m hesitant to direct them as much. It’s your job to pull it out of them. Believe me when people look better than they’ve ever looked before they will do whatever you say. I shoot tethered and explain it to them as I’m showing them what I’m doing. The shots speak for themselves and they could care less what they feel like if the outcome is good. I’m constantly tell them that it feels weird, but looks good. They will listen to everything you say as long as they believe that you are in control and can pull it off. If they are questioning what you are doing you’ll never get the shot out of them. A lot of the photographers that have taken THE HEADSHOT INTENSIVE are using this video to show their clients before they shoot them. You can do that too. Great Direction!! Thanks for posting!! Tempted to walk around like that all the time. GREAT tips! Thank you! Loved it! that totally made my day. SHeBAM!!! Seriously awesome! This is probably the most useful guest blog post I’ve read on here. I’ll say it again, Peter is the man! The perfect combination of Robin Williams and The Dude ;) Love gleaning stuff from all his videos..
That’s all you there. I think it’s gaining momentum now though! I love it!!! SHEBANG came out so naturally, I thought that it was your word of choice :) Great job, Peter! You’re a natural in front of the camera too! Fantastic video. Thanks for posting!! Yeah, great insight and delivery on this video I really enjoyed it. Great advice…and I have a client who wants corporate headshots. These pointers will definitely come in handy for her especially since the jawline is SPECIFICALLY her concern. And if you haven’t seen The Art Behind the Headshot, it’s a great DVD full of more great tips and advice! Love Peter Hurley… awesome clip and thanks for posting this! Totally awesome stuff! Love it. Thanks Peter! Wow – great tips! Shebang. Loved it! Incredibly useful tips. I’m going to try and put those to use for the next headshots I take. SHEBANG! NOW WE’RE TALKIN’! Love it! He’s a wizard. I just discovered peter hurley’s work last week and i must say he’s a wealth of knowledge when it comes to head shots… Loved this blog post! Amazing stuff! I’m ordering the DVD..this dude is out of control…. This is wonderful and AMAZING! Thank you so MUCH for this blog post. Best one ever!! Any chance that we could get PH to do a KT class..??? Any chance at all..?? That would just be spectacular! Peter Hurley ROCKS! You have great energy – it would be great to see you on Kelby TRNG! Fanfrickintastic!!! I loved this!!!!!! Thanks SO much!!! This was a fantastic post!! I loved the practical tips, and especially loved Peter’s video showing the method in action! (We’re photographers – teach us visually, right?) I can’t wait to try these tips out on my next portrait shoot. That was awesome!! Thanks Peter. So easy so obvious so well presented – thank you! Excellent blogpost! Would love to see more of these! THANK YOU VERY MUCH!!!!!!! it was very HELPFUL!!! You are the new guy for Kelby Training Peter :-). One of the best vid’s I ever have seen on portrait photography! Well presented with just the right touch of hilarity. Thanks Roger! That’s my mode. I love laughing at myself, so it’s got to be somewhat entertaining if I’m going to do it! Simple and sweet can’t wait to try it on my next shoot! Thanks! great job! This was awesome and inspiring, thanks so much Peter and Scott! Look at all those comments! Fantastic video. Well done that man. Hurley is PURE GOLD! His headshot DVD is worth every penny. Thanks for bringing this post to us Scott & Brad! Great stuff!!! Does this work “better” when shooting with a lower depth of field? To me, it looked like most of those photos were taken at lower f-stops. I always thought most studio images were taken in the f/11 range. This is coming from a non-studio shooter. I think this applies to humans in general and has nothing to do with camera settings. As said a little lower in the post if we were really that concerned about it we should walk around like this in public! Perfect! I just wanted to maximize the effectiveness of the technique. Thanks. Big fan of PH. Love this guys personality! WOW |!!! This guy looks awesome with the right guidance!!! Amazing!!! Wow this was awesome! Lots of energy and like his enthusiasm. He made me pic my camera up off my desk and go try this out on the wife. He now has a new fan………. You guys are AWESOME!!! Love all the great feedback. I don’t know how SHEBANG came out of my mouth, but I’m running with it. Never underestimate the promotional, mnemonic power of a catch phrase, especially when it so fits the emotional impact of the techniques you are offering. Great stuff. Run, Peter, run! 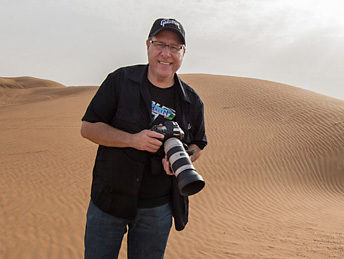 Peter, that would be great if you can record a full course for KelbyTraining. Well that pushed me over the edge. I’ve been contemplating and procrastinating about buying your DVD, Peter. Now it’s a done deal. Thanks for the blog. Great post! It’s killer. Long live Peter Hurley…..
DEFINITELY get him for Kelby Training. I usually find Will Ferrell a little more stiff but a little funnier than his new character “Peter Hurley”. But I like it. Thanks for sharing! I think I learnt more about posing there in a few minutes than I have over several years working with models. That, my friend, was an awesome post. One of the best….not just telling us WHAT to do, but showing us HOW to do it and explaining WHY you do it. Your personality, enthusiasm, and delivery was spot on. Extremely effective. I’m adding “attending one of Peter’s workshops” to my bucket list! That was fantastic. Thanks for sharing that. I love the tips that can be immediately put into practice. Loved it. Great tips — completely transforms the look when the jaw line is tight! Any one planning on having a headshot in the next 20 years should watch this first! Incredible contrast just by making a small tweak in posture. Solid tips, thanks! I ordered the DVD and downloaded it immediately. Just finished watching it all the way through, and I’m starving! But I’m so amped I can’t wait for my next assignment, next week, shooting headshots of 30 kid actors. It’s gonna be sweet. Awesome post form an awesome photographer! Man, I have an inappropriate man crush on Peter Hurley. :) Well done holmes. Likewise! Guys, if Zack didn’t sit me down during Photo Expo ’10 and tell me to teach none of this would’ve went down. You know I’ll always appreciate that my man. Awesome post, thanks a lot Peter!! Brought up a few things I know I’m guilty of not always paying attention to. Great tips thanks for sharing!. Thanks for introducing me to Peter. Great guy. Awesome energy..awesome tip..totally worth the 15 mins clip I watched. SHHH-BANG, you’re hilarious!!! But seriously, you did a great job of breaking it down and keeping it simple – will definitely being using this technique! Thanks for the great post! Perfect proof that it is never feet or even inches but mere fractions of a difference that makes the difference between professional shots and ho hum weekend family shots!! Awesome!!! Thanks!!! I confess, was initially skeptical but that was a very effective tutorial. Now ima be checking for the jawline with every shot i take. Awesome Post!! Thanks Peter Hurley for the super informative vid, and thanks Scott for getting such awesome guest bloggers on a consistent basis! You guys rock! Scott, This guy R O C K S !!!!! Get him on Kelby training ASAP!!!!! Thank you for great tips. Great post Real cool tips – thanks!!! Awesome tip. I always wondered how to help prevent the double-chin thing. It happens even to people who don’t have them! SHEBANG! Not only was this a great post… but Hurley is a freaking trip! This might just be my favourite tutorial ever. Amazing… Wow… I never would have guessed that would have so much impact. Thanks soo much for the information. I will be putting this to use! Amazing video!!! Peter is a great guy as well as a great photographer!!! he is a kelbytaining.com must ! Mr. Kelby do you have plans for seminars in Romania ? I have got to say, I have watched hundreds(of hours, or seems like it) of videos (including here on KT) and that was one of the best I have seen! In 15 minutes! Ridic! SHEBANG! This was Fantastic! Thanks for having Peter on. You can be that I’ll be going to his website for more! +1 for a Peter Hurley class on Kelby Training. This is amazing in just how clear and concise Peter’s explanation is. Just great!!! I’ve been a fan of Peter Hurley for a while and this is a great video! That neck/chin fullness is one of the biggest issues with portraits and I’m constantly educating clients about how to avoid it. I’ve been doing the chin out and down suggestion, but forehead out and down makes more sense as he illustrated. So, so good, a must-see for professional photographers. Awesome! Feels like we have known you forever and are learning from a buddy! So easy to follow. Now… my neck is beat from trying to do all this in the mirror. Talk about dyslexic! Thank you soo much for sharing this!!! This post just cost me $300 and I can’t wait until the download completes. I’m going make everyone I know sit for me ’till I got it. What a fantastic skill to learn. Thanks Peter. Woaw ! Thank you Mister ! This is something ! Bravo ! I´m seriously thinking about investing in his DVD since it has got such great reviews all over the place. that in plain people speak! Awesome tips. I would never have know if I hadn’t views this video. Magic. I learned so much! after watching this, i’m buying the dvd!!! Very good demonstration on something so easily overlooked. Wow, excellent lesson, thanks Peter. LOVED THIS! Thank you so much! Dang this guy is good! Get him on Kelby Training please! Excellent tip. One of the best I ever seen. Hey Scott can you get him to do a course on Kelby Training? I’d be onto it like ants on honey. This is a very good tip on how to improve the “head shots”. I am going to use this technique. I have seen the awesome site lists from this http://guestpostblog.weebly.com/ which allows guest author. There are lot of benefits like quick response, fast approval and so on. You really enjoy it. If possible, please get Hurley on Kelby Training. If not, please try to get us a NAPP member discount for his DVD. If neither is an option, no problem. Thank you for giving him the mike and introducing me to another great teacher.